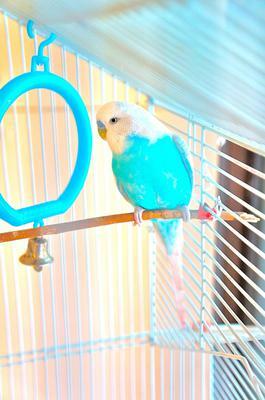 He is 5 years old, loves his best budgie friend Chirpie, likes carrot the best and is not the best at flying. He's not dyed. This is his colouring. It says the natural green budgies usually have a longer life because they haven't been excessively bred to get different colours. Originally snowys ancestors would've been an albino and a blue budgie. Sadlly snowy passed away 2 months ago from a lump that wasn't cancerous but was growing fast. He was operated on but he lost too much blood during the operation. I am thankfull for the amazing 5 years I had with him. My beautiful snowy.